I guess I should start off by saying Happy New Year and I hope everyone has had a lovely time throughout the holidays! 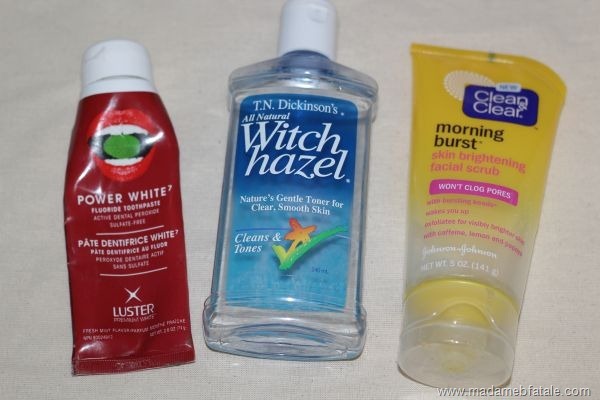 Starting off with the Power White Toothpaste* I was gifted in the Lust Have it bag at BBU. I started to use this last month and its definitely helping, especially considering I am an all day coffee drinker amongst other things and I know that doesn’t help. I will be purchasing this again and I think I might even purchase one of the whitening kits as well. I don’t know why but I actually really despise the word haul but for lack of a better word there it is. I didn’t go as crazy bananas shopping at IMATS 2012 as I was expecting, I had saved up a lot more cash but I was surprisingly reserved with my spending. That being said there are a lot of things I wish I had of bought and a few things I wish I bought more of. First up I wish I had the patience to line up at Inglot but the crowds were insane and I wasn’t sure what I wanted to buy because I’ve hear so many great things about the brand I didn’t know where to start! But onto my purchases. 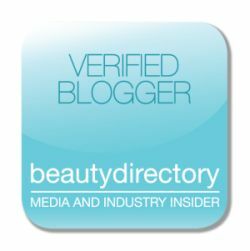 The ladies of the Beauty Blog Coalition have teamed up once again to host another sweepstakes for our dear readers! The Beauty Blogger Coalition Halloween Sweepstakes begins today, 17 October and will end on 1 November 2012. One winner will receive a $500 USD Visa Gift Card! 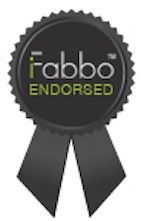 All terms and conditions may be found at the bottom of the Rafflecopter widget. Please allow the widget to load in full. You may enter on any of the participating blogs below – Rafflecopter will not allow you to enter twice. You may tweet about the giveaway (the last option in the Rafflecopter) every day for extra entries! 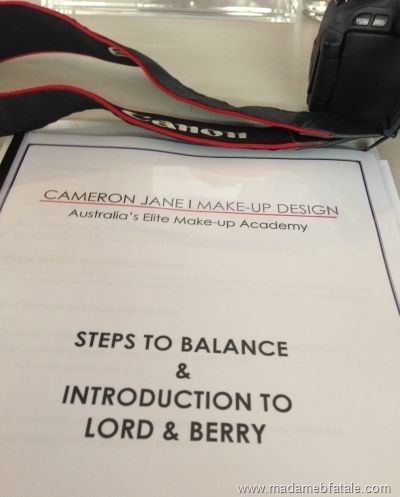 The Sunday of the Beauty Bloggers Utopia was even more jammed packed with all sorts of activities for us to participate in and was held at Cameron Jane Makeup Design in Surry Hills. First up was a lesson in facial symmetry which is where i learnt that my face shape is not in fact potato head but it is horizontally asymmetrical. We also leant how to help fix it with makeup and hair styles. Cameron also suggested we get a copy of The Human Face on DVD if we were interested in learning more, which I am going to try and find a copy next week because I found it pretty fascinating! 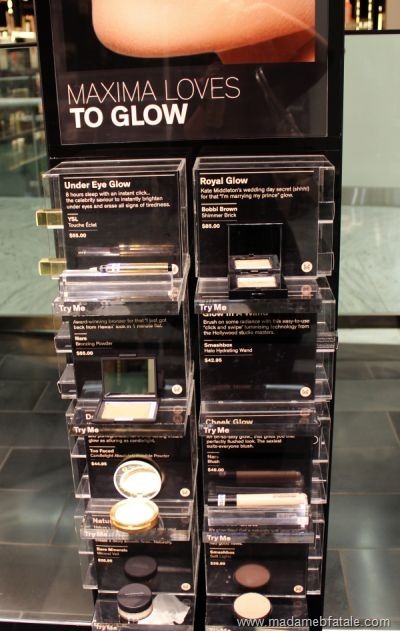 We were then introduced to the brand Lord & Berry who specialise in eye and lip products. If you follow me on Twitter or Instagram you may have noticed that last weekend I went to IMATS and Beauty Bloggers Utopia. The weekend started off with a breakfast held by Cosmetiques De France at the Guylian Cafe. If you haven’t heard of them they are Australia’s exclusive distributor’s of Bioderma, Uriage and Nuxe. Next up was IMATS. There were a couple of booths missing from the last list I had checked but there was still more than enough to look at. The student competitions were happening (pictured below) and I also got to catch Kevin James Bennett’s talk. Which was not only informative but he was pretty funny as well. There was even a media room where we could go to get manicures, massages and refreshments thanks to Royal Langnickle. As usual the day was pretty busy and the lines at MAC and Inglot were absolutely crazy! First stop shopping wise for me was Royal & Langnickle, after buying some brushes from them 2 years ago I was so impressed I knew I needed to buy some more. 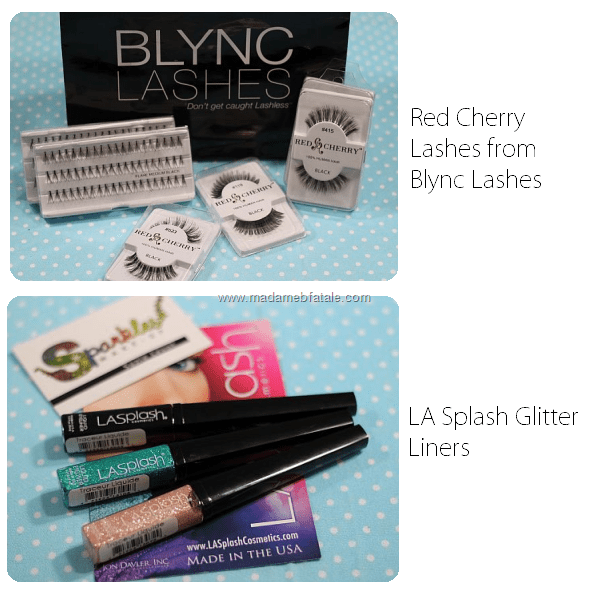 I also made some purchases from Blync Lashes, LA Splash, Mehron, PM Studio for some Makeup Forever products, MAC and when I got home I made an online order from Crown brushes to get the things I completely forgot about. (Oh and that order arrived in 1 day!). All products I got over the weekend will be featured in a separate post though because I really need to break it up a bit. 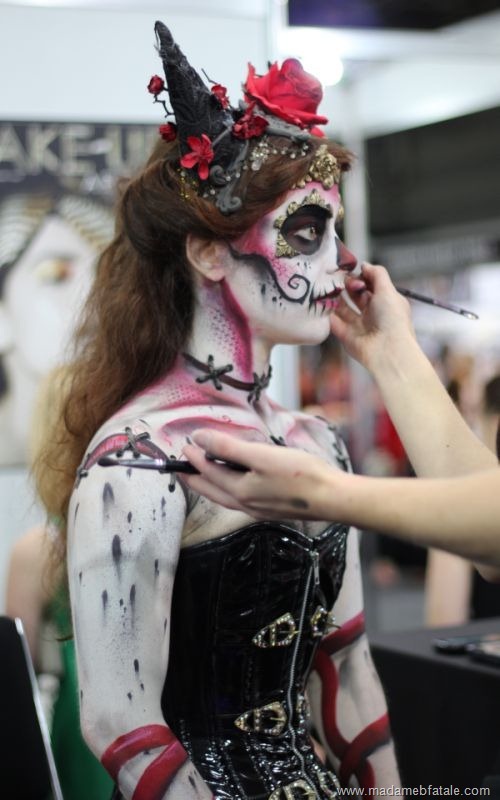 Above Left: A Model at MAC and Right: Yolanda Bartram’s work at the Make-Up Artist magazine booth. After IMATS I went back to my horrid hotel room to relax (ha!) and get ready for the evenings activities. 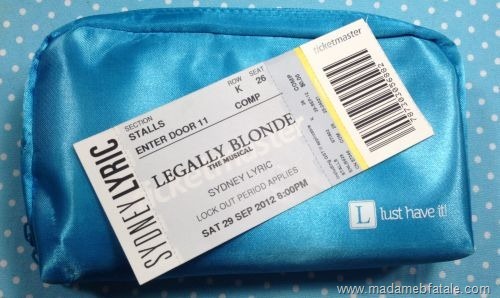 Which was going to see Legally Blonde the Musical thanks to Lust Have It! I personally really like Musicals and it was probably the perfect event for a group of beauty bloggers. There were drinks and then the show. We even got to go backstage to hear more about the production and meet some of the cast. I must say Erika Heyanatz is even more stunning in person (if that was even possible), and the girls in our group were pretty excited to meet David Harris and Rob Mills. Well that was the first days activities, I had a wonderful time and I really can’t thank Sarah-May Monaghan and Larah Kennedy enough. The weekend was perfect and I can’t even imagine how much time went into organising it all! I will be back with more on the weekend soon! 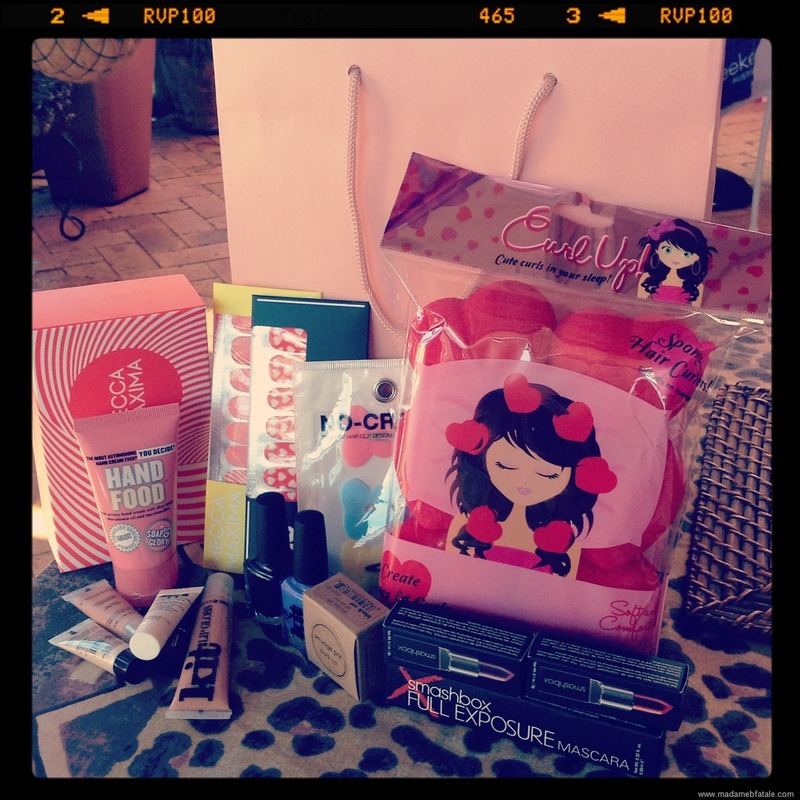 Mecca Maxima–Brisbane’s new beauty wonderland! Recently I was invited to attend the opening of Mecca Maxima, located in Brisbane’s new Wintergarden Centre. Walking through the doors I immediately felt right at ‘home’ with the luxe and almost rock inspired interior. Featuring more than 75 national and international brands, from budget friendly to luxe and everything in-between I would pretty much guarantee there is a product, or 10, for everyone. 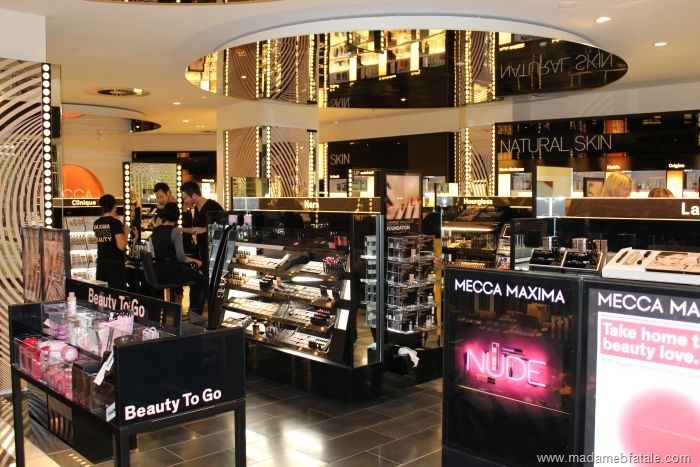 So what makes Mecca Maxima Stand out from regular department counters, the choice of course! Lets face it I’m a brand whore. I like trying products from all brands and the thought of only using one brand forever is not something I’m interested in. at. all. Having staff that are able to help you with information across numerous brands is a major plus because they aren’t there to push one brand. Just tell them what you are looking for and they can help you compare and select. One brand may do awesome primers, cough Smashbox cough, while another may have the perfect eye primer, insert Too Faced Shadow Insurance here. Looking for a certain shade of lipstick? Just browse through the brands and swatch as you go to compare. That’s another bonus, if you like to browse by yourself there are testers everywhere. All brands are displayed separately and on the end of the isle’s are fabulous Maxima Loves displays that feature a couple of similar products with descriptions and prices to help you see what’s right for you. Items I picked up on the night (pictured below) include Smashbox’s new Be Legendary Lipsticks in Vivid Violet and Infrared (new favourites! ), Stilla’s Smudge Pot in Black Cat which is a gorgeous shimmery black, Kit Nail Strips in an adorable heart shaped pattern that I am actually wearing right now, Smashbox Full Exposure Mascara that has a super fat wand and has been working great, 2 Kit Nail Polishes in Dive In and Power Up, Curl Up heart shaped sponge rollers – holly hell these were just too cute not to purchase and some nifty no crease clips which if you have hair as damaged as mine you know how easily hair can crease when you pin it back even just for a few moments. The other items pictured where in the gift bag (which I believe was a promotional item for spending over $50) with some pretty fab samples including Soap and Glory Hand Food, Origins Plantscription Anti-aging eye treatment, Smashbox Photo Finish Luminizing Primer, Lancôme Hypnose Drama Mascara, Stilla Illuminating Tinted Moisturiser, a Kit Cosmetics Lip Gloss in Maybe Just Once that is minty fresh and a pack of fun nail strips! 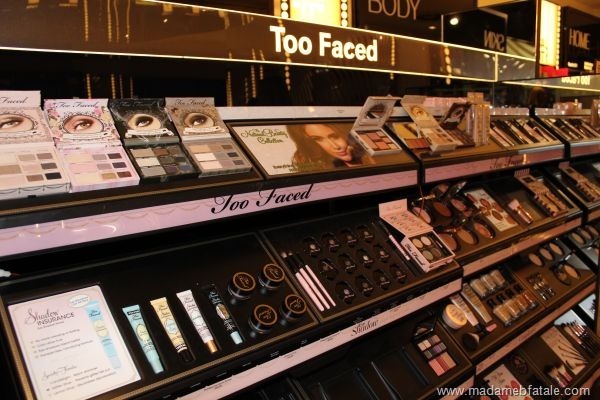 I honestly don’t think I have anything negative to say about the store, well except maybe that your wallet could easily get quite a beating as it is literally a beauty lovers dream store. I given a generous gift card to spend at the opening but I also spent some of my own cash. Thanks again to Mecca for including me and a fabulous time! Winners announced!! 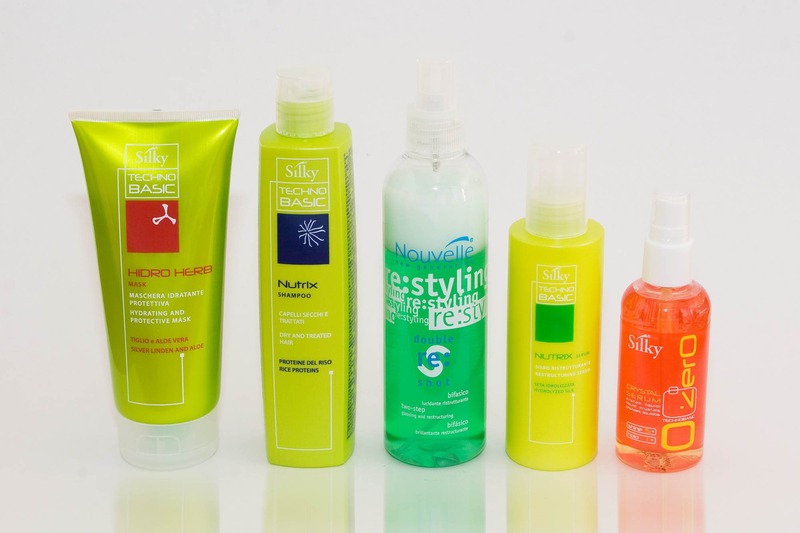 Want to win a Luxury Hair Care package? Totally a crazy question, of course you do! Well thanks to Silky Colouration I have 3, yes 3, luxury hair care packages to give away! Yes its as simple at that. The competition will run from today until March 2nd 2012 and winners will be selected randomly by Rafflecopter. Winners will be contacted within 48hrs of competition ending and have a 3 days to reply, if you don’t answer we will have to pick another winner. The PR Firm will send you an email to get your details so they can send you the prize! This competition is just for Aussies this time!